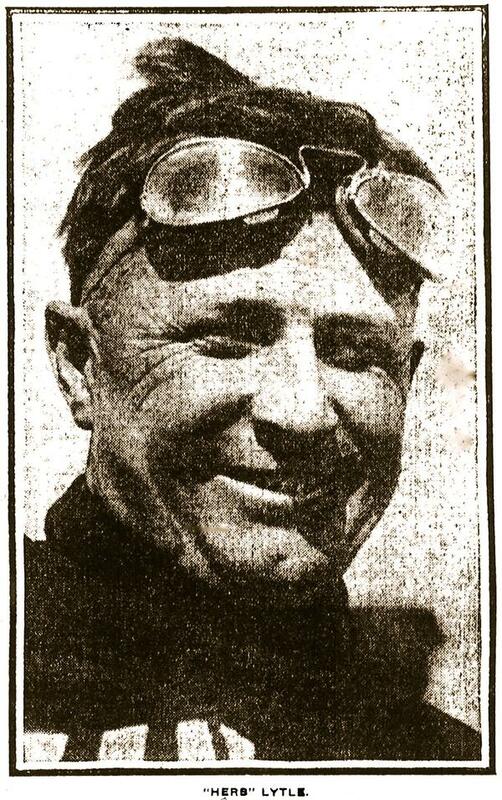 This attachment contains an image which originally appeared as a photograph in the May 29, 1910, Indianapolis Star. 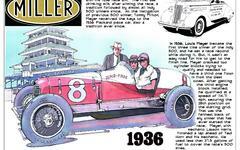 The subject is long-time race driver Herb Lytle who was injured in an accident involving his American racer. He almost immediately announced his retirement from the sport after suffering a broken leg during a free-for-all handicap contest the previous day at the Indianapolis Motor Speedway. His riding mechanic William Clifton was also tossed from the car and suffered what was reported as a "sprained" shoulder. The race was part of the track's May 1910 race meet. Lytle told the Star the following: "It's all over. I am through with the motor racing game. Never again will I take a seat behind the wheel of a racing car in a contest. The game is all right for those who are lucky, but I seem to be out of luck every season." The May 1910 race meet weekend included "national championships," a newly-announced distinction by the American Automobile Association (AAA) for select race meets. Car manufacturers were keen to make a great showing. Check out other articles that provide additional summaries of the results of the races staged May 27 and May 28 elsewhere on First Super Speedway. Lytle did return to racing but only briefly. The allure of first Indianapolis 500 proved irresistible and he entered that race - his only "500."